Keeping in mind ever-evolving requirements of our respected clients, we are offering a premium quality range of Running Coding Machine. 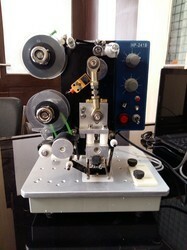 Continuous Friction Coder for on-line non-registered continuous printing of B.No., Mfg.Dt., Exp.Dt., M.R.P. With the help of our experienced and skilled team members, we are manufacturing a wide range of Pouch Packaging Machines Rotary Coder Units. 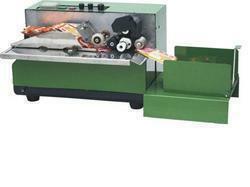 These coding controller are extensively used for batch coding. Further, the operating voltage of our range of coding controller is 220 volt AC.